As schools continue to invest in technology, the amount of devices found in the classroom is surging. Last year, the revenue for desktops, laptops, tablets, and two-in-one computers shipped to K-12 schools and higher education institutions in the United States amounted to $7 billion, according to estimates for IDC. In total, about 13.2 million systems were shipped in 2014, about 33% more than were shipped in 2013. 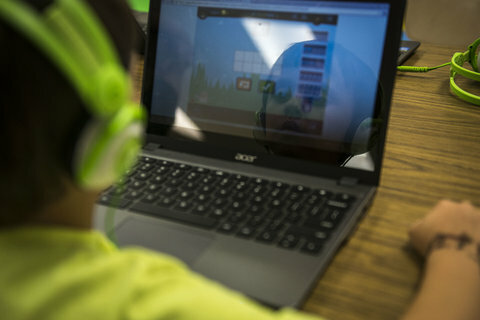 Chromebooks, not Apple and Microsoft products are driving the majority of the growth in the education market. Last year, about 3.9 million Chromebooks were shipped into the education sector, which was an increase in unit sales of more than 310% compared to the previous year. While Chromebooks may represent the fastest growing device on the market, Windows and Apple devices are still heavily involved and competitive. Microsoft sold the most devices in 2014 at 4.9 million – giving them roughly a 38% market share. Meanwhile, Apple shipped about 4.2 million devices (32% market share) in 2014 and was number one in revenue. The market is likely to become more and more competitive this year as Chromebooks, Windows, and Apple all continue to strive to empower educators and students in the classroom.